Obituary for Charlotte Patricia "Pat" (Bell) Schertle | Raymond Wood Funeral Home P.A. 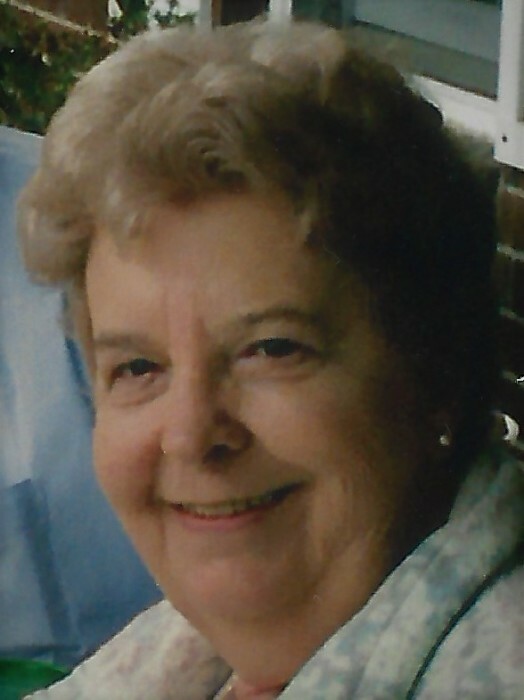 Charlotte Patricia "Pat" Schertle, 87, of Wilmington, North Carolina, passed away on November 14, 2018 in Sykesville, MD. Charlotte was born in Baltimore, MD to the late Louis and Charlotte Burns Bell. She attended St. Katherine's Catholic School and The Catholic High Schools. In 1949, she married Charles Schertle and they couple lived in the Parkville area until 1968 when the family moved to Lusby, MD. Charlotte began working as a secretary for the University of Maryland Cooperative Extension Service. During her 23-year tenure, she received commendations for her educational instruction for students in the Calvert County Public Schools and Southern Maryland Tri-County Community Action Committee in the Project Promise Plus Program and in the Summer Youth Employment Program. She retired in 1992, and received a proclamation from the Calvert County Commissioners and the University of Maryland for her distinguished public service career. In 1969, Charlotte joined the American Legion Auxiliary, Arick L. Lore Unit 274. Her span of service during the past 44 years included chairmanships in legislative,construction and bylaws, past president's parley, building, community service and standing rules and music committees, including forming a choral group in 1982. Charlotte also produced and edited "Lore's Log," Post's 274 newsletter. Charlotte held several Auxiliary offices including Corresponding and Recording Secretary, Chaplain, Historian and President. She received the high honorarium of Life Membership in 1986 for her outstanding service. Charlotte also participated on the Maryland State level serving as State Representative to the Charlotte Hall Veterans Home, serving on the department executive committee and as Chaplain for three years. In 1982, Charlotte received an invitation to join La Boutique Des Huit Chapeau Et Quarante Femmes Departemental de Maryland Tri-County Salon 795 8&40. During the ensuing years in the 8&40, she held chairmanships in many committees and served in several offices, demonstrating her devotion and dedication to the organization. Charlotte's community service included work with the American Legion Southern Maryland District Youth Camp, serving for the past 23 years as coordinator for the two-day televised Calvert County United Cerebral Palsy of Southern Maryland Fund Raiser and serving on the Board of Directors for Cerebral Palsy of Southern Maryland. In 1996, she received a membership in the National United Cerebral Palsy Association Victory 100. In 1997, she was awarded the Volunteer of the Year for the Maryland Association of Community Services for Persons with Developmental Disabilities. Charlotte is survived by her son, Charles Schertle, daughter Jane Ann Hamilton and many other loving family members. Her husband, Charles, predeceased her.